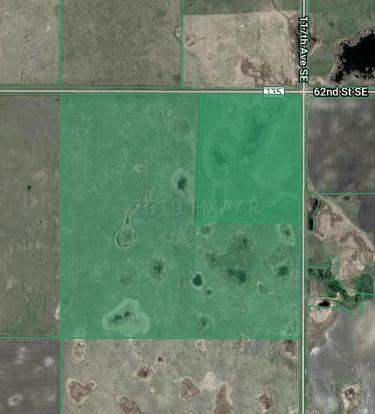 160 +/- acres of agricultural/hunting land ready for a new owner. Good investment opportunity located at the corner of 117th Ave SE and 62nd St. SE, approximately 3 miles West of Fort Ransom and approximately 4.5 miles NW of Stiklestad Lodge. This quarter of land is currently enrolled in the PLOTS program (Private Land Open To Sportsmen) and includes a wetland in the upper NE portion of the quarter. The land has provided a fine habitat for wildlife and has been great recreational land for many years. 121+/- acres can be worked and could be tillable.